Modified in Germany by FGV Schmidle. The camera's mirror and optical viewfinder are removed and the original sensor block is rigidly remanufactured into a one piece steel mounting bracket with a &frac38;" threaded mounting receiver and PL lens mount. This modification assures that all critical elements of the camera move as one. A 3-pin RS connector is added for start/stop control when using a handgrip system or remote camera controls. The FGV 7D-PL is ideal for remote rigs, car rigs, mini-cranes/jibs and any other dynamic shooting application. 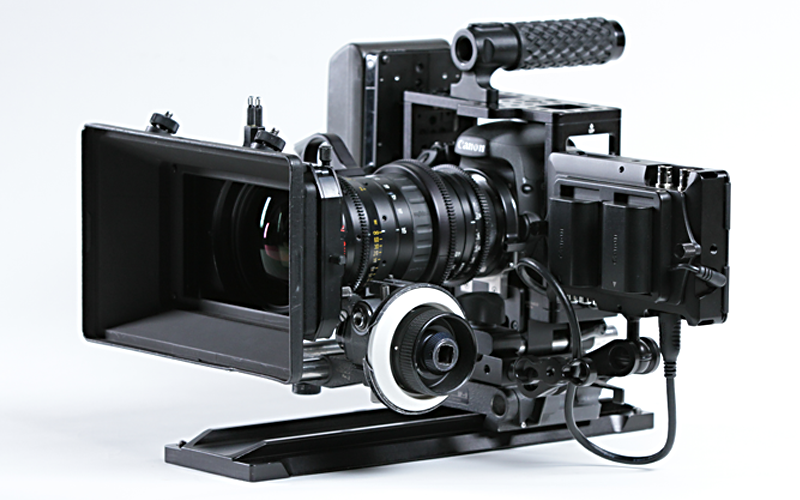 We include the Viewfactor Contineo powered cage. This facilitates powering all the normal accessories used with this configuration.